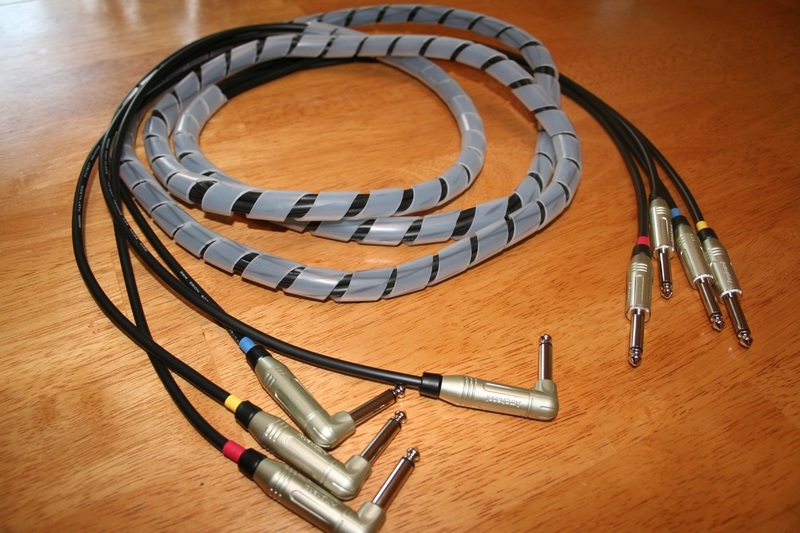 DH Guitar Repair customizes cables to fit your pedal board. 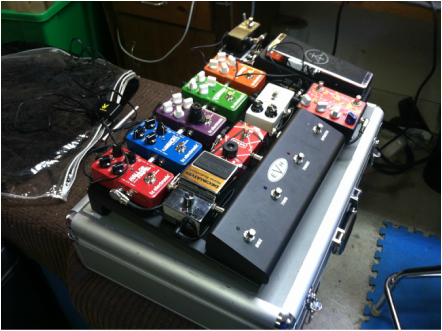 You can bring your pedal board in and have us do it all for you. There is no additional charge for this - let me do all of the fitting and measuring for you. Discount prices for a set of cables (8+). ​Custom built DC power cables for your pedals. Keep your board looking neat and clean by using the correct length cables for all of your gear. Use a pedal board snake to connect your pedal board to any equipment necessary. Disconnecting from the inter-connect box allows you to store / transfer separately. 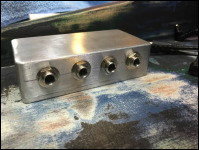 Use a custom designed Inter-connect box for your pedal board. Install your own box under one of your pedals on your board - then plug / unplug your pedal board snake cable easily, and transport separately. (4 3/4" L x 3 3/4" W x 1 3/8" H). 1/4", DC, MIDI, XLR, etc. - anything you need to run from your board out on to stage!